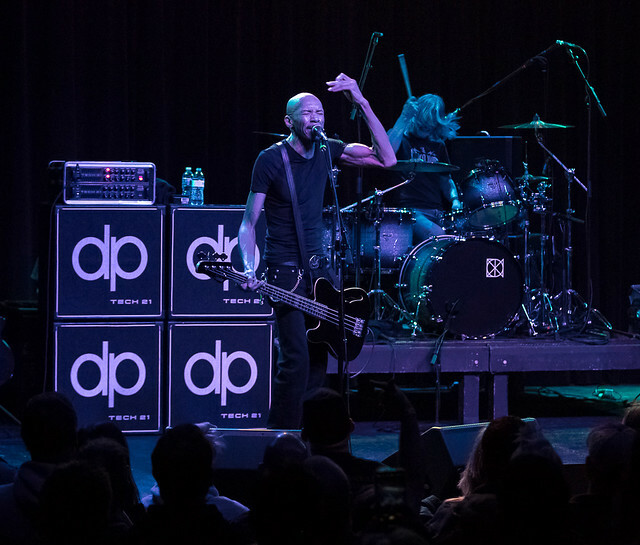 King’s X Fills The NODA Night With The Sounds of Funk Infused Rock Reviewed by Kris Engelhart on January 21, 2019 . 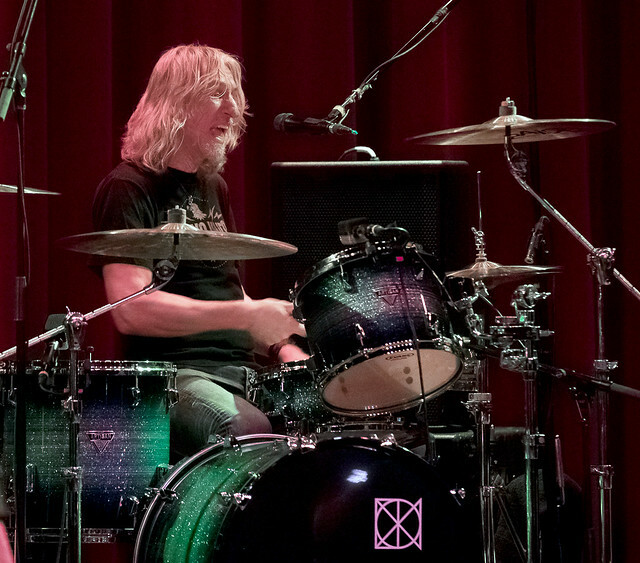 Ever since the early eighties, when they were jamming and playing local club under the moniker “the Edge,” the members of King’s X have been making music together. For the better part of thirty five years, the band has been perfecting their craft, establishing a melting pot of sonic delights that run the gamut from progressive metal and hard rock to funk and soul even throwing in a little gospel and blues influence from time to time. 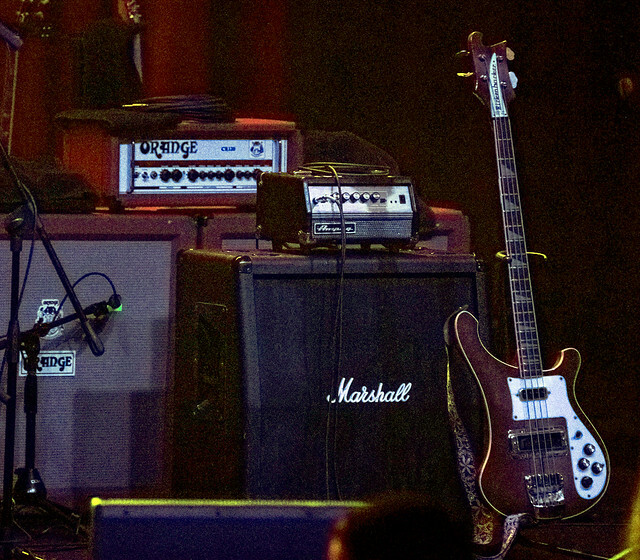 Their sound runs heavy but contains an underlying groove that simply cannot be denied. 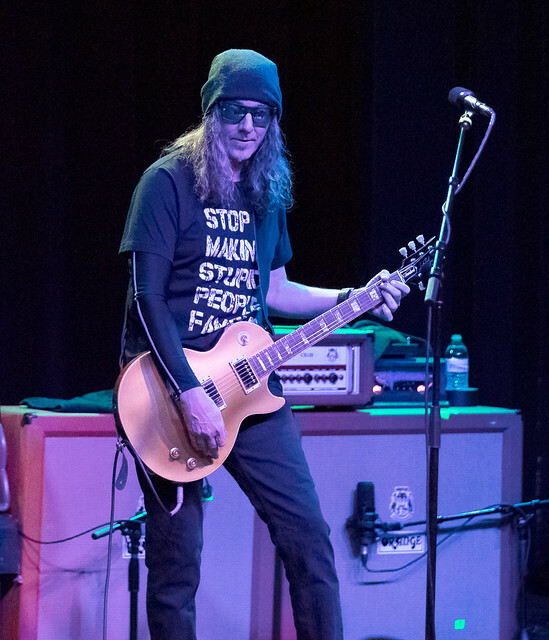 Recently inking a deal with the Australian independent label Golden Robot Records and a new album said to be in the works for 2019, King’s X has been hitting the road and made a stop in the Queen City at the Neighborhood Theatre this past Friday evening. The crowd was sparse when I arrived at the venue shortly after doors opened and was just starting to fill in when it was time for the opening band Sound & Shape to take the stage. Hailing from Nashville, TN, the three piece group has been making a name for themselves on the Nashville scene since their acclaimed 2006 debut album Where Machines End Their Lives, a none too easy feat for a rock and roll band in a city rich in country music history. 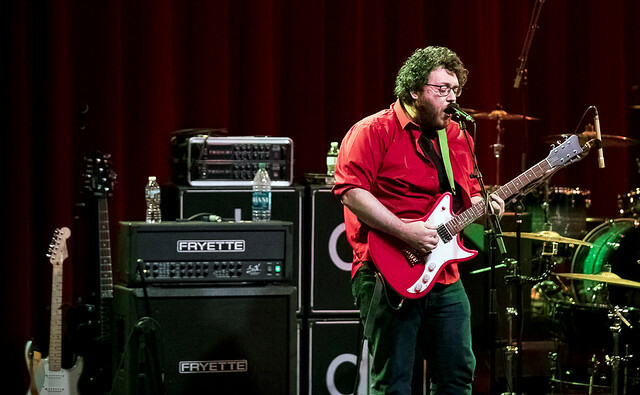 Led by vocalist and guitarist Ryan Caudle, Sound & Shape is anything but a typical rock band. Their sound draws from a plethora of influences with lyrics that resonate on a both a personal and social level. Rounding out the lineup are drummer Ben Proctor and bass guitarist Pat Lowry who form a rock solid backbone for Caudle’s visions. 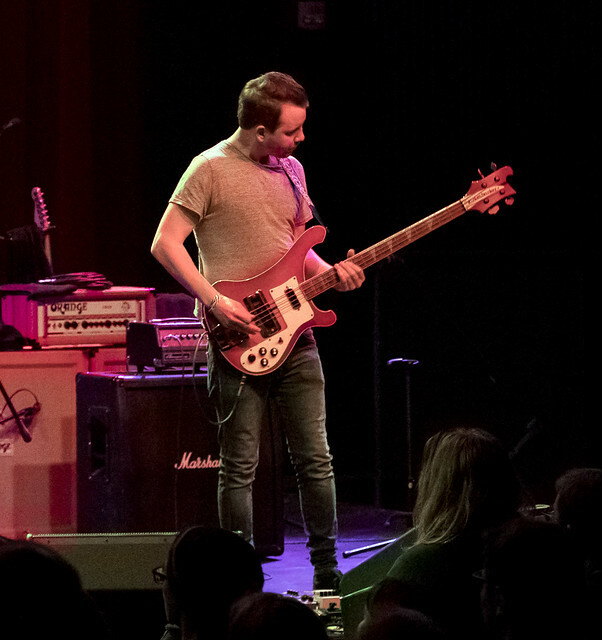 The band sounded larger than life, filling the venue with a range of rock and roll from crunching blues riffs to more experimental, prog rock runs. Possessing a rich, rock sound, Sound & Shape is not afraid to think a little out of the box and should definitely be a band to watch out for in the next few years. The band is not something you would hear on commercial rock radio and you know what, that’s a good thing since radio has always been more about what music sells versus what music is truly magical. In fact, the band believes “we don’t have to buy what they sell,” a self-proclaimed motto and a lyric taken from their latest five song EP Peasants. We certainly don’t have to bow down to the music industry bigwigs and what they would like to push down our throats. We have the power to choose and choose wisely, so why not give Sound & Shape a listen. You may be pleasantly surprised at what you hear. I know I definitely was. For those of you who missed the show, you can check out this clip of them from a recent show and see for yourselves. After checking out a terrific set from Sound & Shape, it was time for King’s X to do their thing, and boy did they do it well. By this time of the night, the venue had filled up nicely and fans were eager for what would prove to be a five-star set from the rock trio. 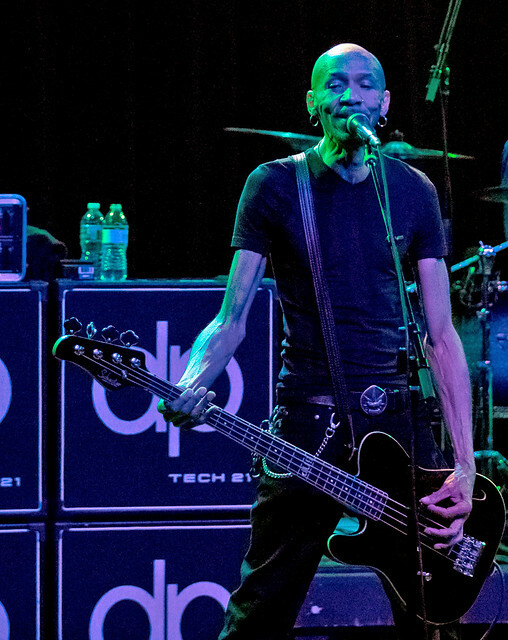 The stage set up was simple with guitarist Ty Tabor stage left and bassist and vocalist Doug Pinnick stage right with drummer Jerry Gaskill positioned on a riser center stage. Pinnick announced that it was Jerry’s birthday and Gaskill stood and took a few bows as the audience whooped and hollered their approval. The funky vibes started right away as the band opened up with “Groove Machine” from their 1998 album Tape Head which seemed a more than appropriate tune to get things started. The band is fairly low key on stage with Pinnick keeping the chatter to a minimum and Tabor preferring to let the music do the talking. 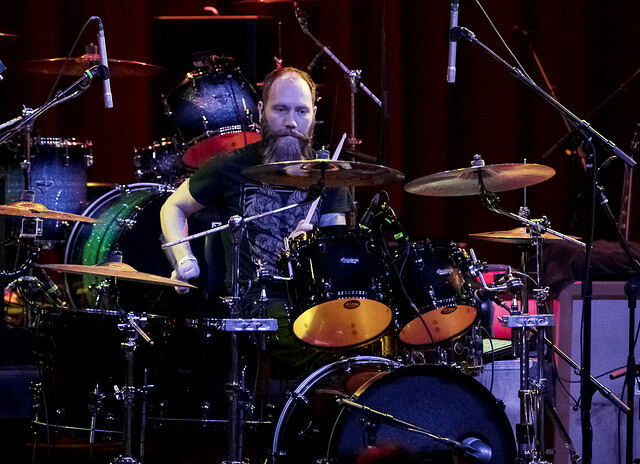 Gaskill was the most animated of the three, as he thundered the night away behind his massive kit. 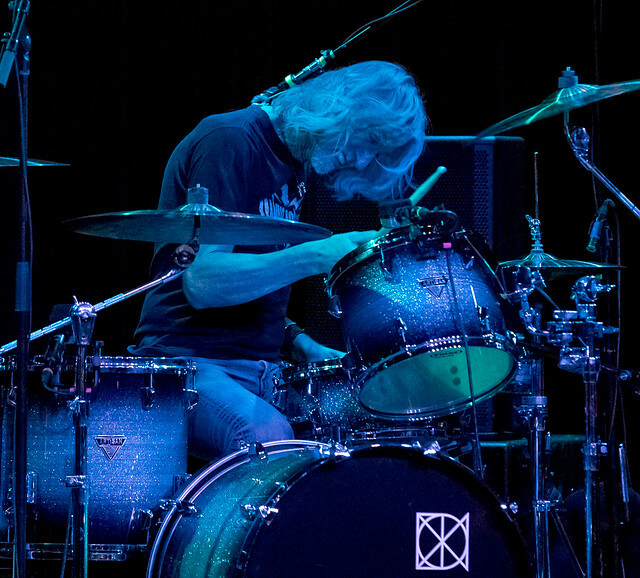 The setlist was pleasantly varied covering material from nine different King’s X albums. 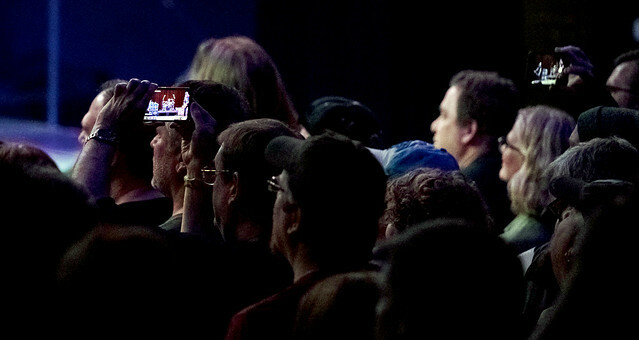 The crowd was enthusiastic and vocal in showing their appreciation for this talented and often underrated band. A funny moment occurred when Pinnick asked “Have you gotten any cigarettes?” to introduce the song “Cigarettes” and a fan threw a pack of smokes up onto the stage which brought some smiles and laughter to the faces of the band members and audience alike. After so many years together, the band plays like a well oiled machine, anticipating each other’s moves and nuances everything flowing seamlessly along throughout the evening. One of the highlights of the night had Pinnick and company taking us to rock and roll church with the bluesy “Pray,” and of course the audience favorite “Black Flag.” Pinnick and King’s X have the uncanny ability to make every note count, never filling a song with unnecessary flourishes but digging deep into the soul and their exceptional performance was a true showcase for what this band can really do. Nobody wanted the night to end as the band closed out their regular set with “We Were Born To Be Loved,” a song that was used by Paul Shaffer’s CBS Orchestra on the David Letterman show for a number of years. After a short break, the band returned for a three song encore which went all the way back to their 1998 debut album Out of the Silent Planet, named after the C.S. Lewis novel of the same name, for “King,” followed by the title track from their fifth studio album Dogman. Capping off this incredible show was an audience sing-along of “Goldilox.” With new music on the horizon and the release of their autobiography King’s X:The Oral History in just a few weeks, 2019 is looking to be a banner year for the band. In a live setting, this is a band that never fails to amaze. 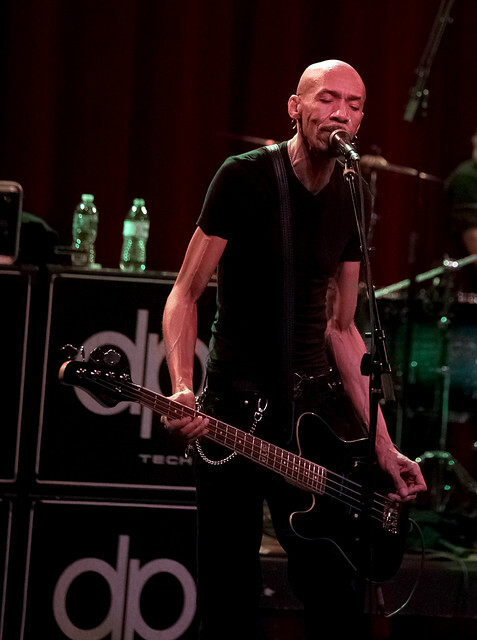 Be sure to check out King’s X when they make a stop in a city near you or on the upcoming Monster of Rock cruise. See full gallery of the night!